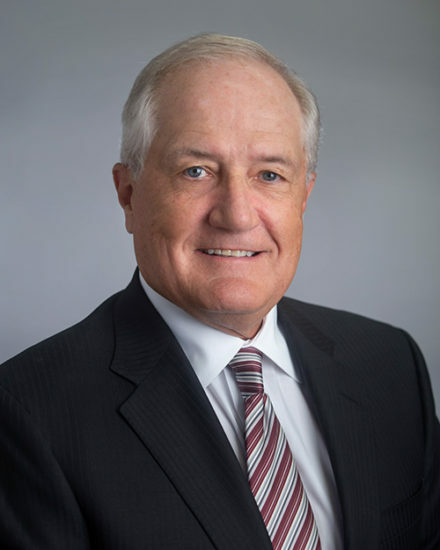 One of founding members of the firm, Steven “Steve” White has been trying cases for 40 years and represents individuals and families who have suffered significant injury and loss due to personal injuries or death of a loved one. Whether he is presenting a case before a state or federal court, Steve has a track record of successfully representing clients that has earned distinctions ranging from the Kansas City Business Journal to Missouri & Kansas Super Lawyers. That said, he is not motivated by awards but rather driven by a desire to help his clients while constantly learning and improving upon his approach to the practice of law. Steve represents a wide variety of injury and death cases, including common law tort claims, medical negligence, products liability, and truck and transportation accidents. He has experience handling cases involving insurance bad faith, common law fraud, commercial litigation, and claims under the Missouri Merchandizing Practices Act. Insurance companies also retain Steve to represent their customers who have been sued for personal injury and wrongful death. Steve also represent individuals and businesses who have coverage disputes with their insurance companies. He successfully helps businesses that have been sued in connection with commercial transactions, employee discrimination, and faulty construction and excavation damage claims. Highly regarded by his peers, Steve has been listed as a Best of the Bar by the Kansas City Business Journal and a Best Lawyer by Best Lawyers in America. He is a Fellow of the American College of Trial Lawyers and He regularly speaks at educational programs for lawyers sponsored by the Missouri Bar, the Missouri Association of Trial Attorneys, the University of Missouri School of Law and local bar associations. He is a Board Certified Civil Trial Advocacy Specialist by the National Board of Trial Advocates. Steve is always looking for ways to improve his practice and serve his clients. He received his certification in Mediation for Civil Cases by the University of Missouri-School of Law: Center for the Study of Dispute Resolution in 2014. He frequently serves as the mediator for many types of civil claims and disputes including personal injury, wrongful death, product liability, medical malpractice, employment discrimination, insurance bad faith and coverage issues. An active member of the Lee’s Summit community, Steve is part of the Friends of Lee’s Summit Commercial Development Advisory Board. He sponsors localBlue Springs School District school district athletics and belongs to St. Mark’s Parrish. In 1976, Steve received his J.D. from the University of Tulsa. He earned his B.A. in 1974 from the University of Missouri at Columbia in 1974. He holds a certificate in Civil Trial Advocacy by the National Board of Trial Advocacy.